looks great on any device. Easy to edit, grow and update! your products, business or employees! EFFECTIVE WEBSITES, PHOTOGRAPHY & VIDEOS DON’T NEED TO BE EXPENSIVE! EZ New Media does more than just develop websites, shoot photos and produce videos. We can help you craft the message and develop the strategy for engaging your customers in a way that can deliver incredible results for your bottom line. This includes smart, intuitive web site design with search engine optimized content. Compelling, award-winning video production, delivering the same quality as network television, but without the sticker shock! Portrait, Real Estate, product and food photography that will make your mouth water! Now your business can look great and get the results you’re looking for on the web, Facebook, broadcast TV, social media, mobile and more … and all at a price you can afford! EZ New Media has provided a full range of creative services to businesses of all sizes for over 25 years. We are one of the only facilities in the upper Midwest to combine a true broadcast quality television studio with cutting edge Internet technologies, allowing us to deliver an unsurpassed product in a variety of media for your business. You’ll notice the difference. So will your customers…and your competition. Whether you need a video or commercial for broadcast television, an interactive DVD or Blu-Ray, your website, YouTube, Facebook or all of the above, EZ New Media has the tools and the talent to get you the results you’re looking for! From script writing and shooting HD & 4K video on-location, to editing and content delivery, EZ New Media can help you with all phases of your video production. 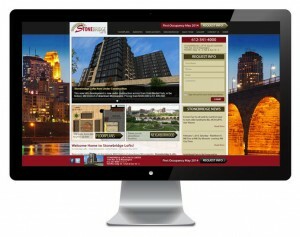 EZ New Media specializes in website development and online marketing for businesses. Today’s websites need more than good design; to be truly effective, your website’s content needs to be fully optimized for search engines like Google, Yahoo and Bing. In addition, today’s websites need to be “responsive” … that is, easily accessible and viewable on smartphones and tablets, in addition to laptops and PCs, and every device in between. 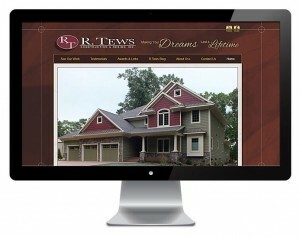 Plus, there is no better way to make an impact today than with a video on your website–another of our specialties! Before you sign on the dotted line with another firm, check us out: We’re confident we can deliver what you need to be successful on the web…and save you THOUSANDS $$$! EZ New Media can capture those still images that will speak a thousand words … or more! Whether you need portrait photography, event coverage, product photography, mouthwater food photography, architectural photography for Realtors or home builders, or landscape and scenic photographs to decorate your home or office, you’ll find our quality unsurpassed … and our pricing unbeatable! Request a quote, or just ask your web and video questions here. You may also call us at 715-962-4660.